The Urban Decay NAKED Palette for one of you lovely readers reached my home from Sephora & this came FREE with it! 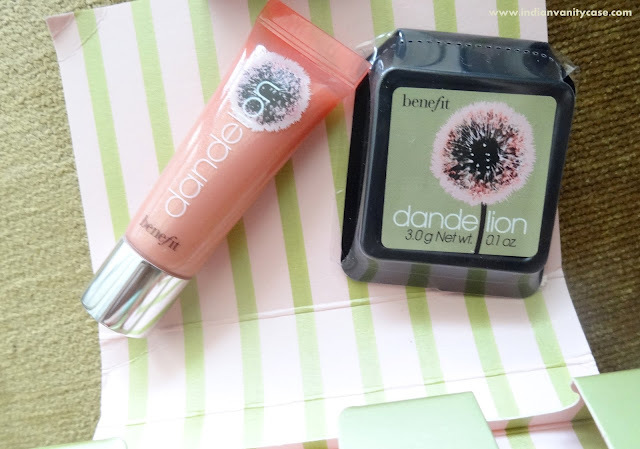 A mini Benefit Dandelion Powder (I have reviewed it here) & mini Dandelion Lip Gloss. So cute! 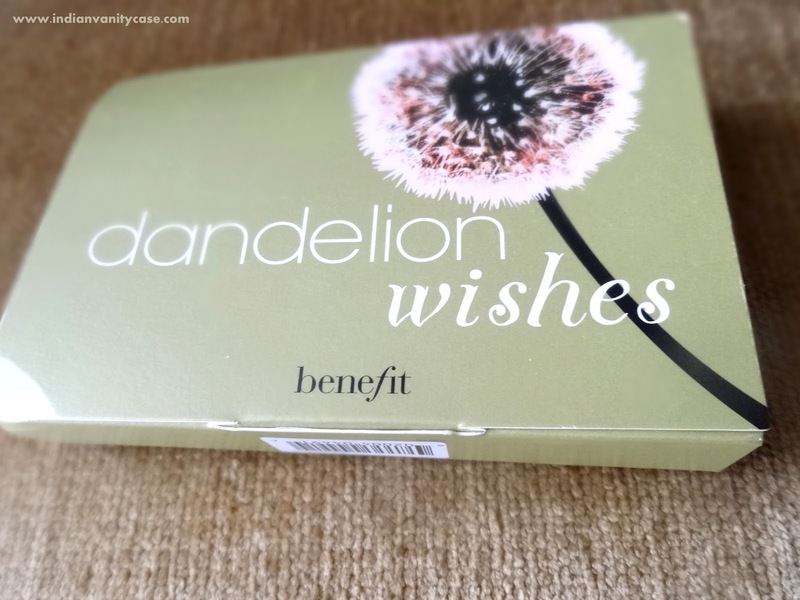 Sephora offers other products too here. Benefit just launched lip glosses to match all their boxed powders. 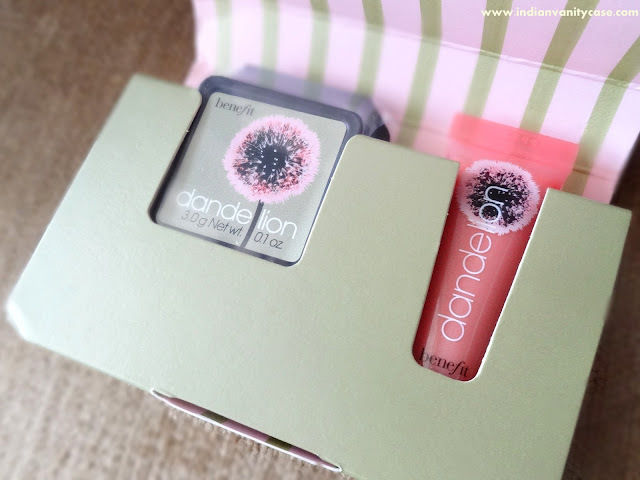 I'm not tempted to get any of them, coz I rarely use lip glosses, but when I get one cutie for free, wheeee.....! Hope you're all enjoying your Saturday. I just woke up & wrote this post. Slept late last night, coz our bedroom ac just stopped emitting cold air around 3 am! I am hating this heat so much! Somebody call Ted Mosby, we need him to make it rain in Delhi! that's sweet, your post made me smile. Hope you get some of that sleep you missed out on. Aww that's quite a generous free gift! I'd love to get my hands on them! =D Unfortunately, Sephora doesn't ship to Australia. I wish the did tho!! how do you manage to order from sephora? i tried a few weeks back, but they don't accept international credit cards nor international paypal :( i wanted them to deliver to a friend's place in US. I. Have. To. Win. This. You're so generous Cynthia! And now I'll have to endure some sleepless nights till you finally announce the Giveaway. I'm so excited! They both look cute together.